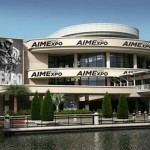 Vee Rubber had two interesting tires options on display at the 2013 American International Motorcycle Expo in Orlando, Fla.
First up is a tire line designed specifically for the Can-Am Sypder. 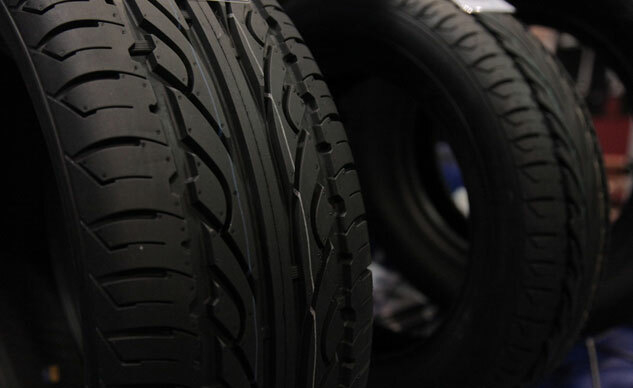 Vee Rubber prides itself on targeting niche markets, and it doesn’t get more niche than this. 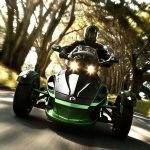 According to Vee Rubber, the Spyder tires are constructed of a newly formulated compound and are designed for wet and dry conditions and feature excellent straight line performance and heavy duty construction to handle the extra weight of the Spyder and two-up riding. Riders who enjoy vintage style will appreciate Vee Rubber’s white wall lineup designed for big touring motorcycles. 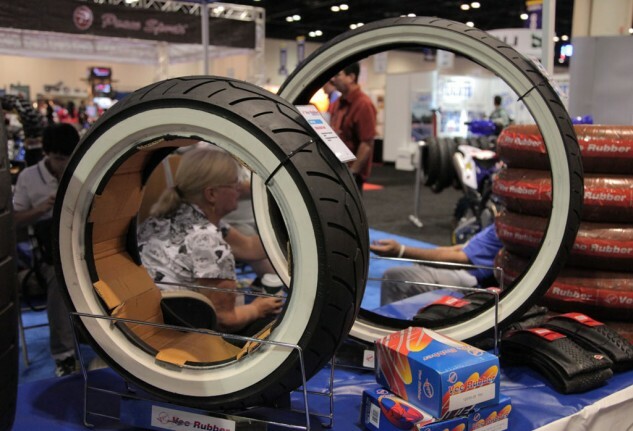 Vee Rubber boasts it has the first 21-inch and 18-inch white wall tires suited for touring motorcycles. Sidewall construction is suited for two-up riding. 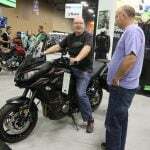 Vee Rubber says its white wall tires offer superior weight carrying capacity for larger displacement motorcycles. Visit VeeRubberUSA.com for more information. 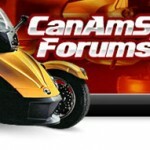 Win a 2009 Can-Am Spyder!